The Fibre Company Drawing Giveaway! Would you like to sample The Fibre Company's products? 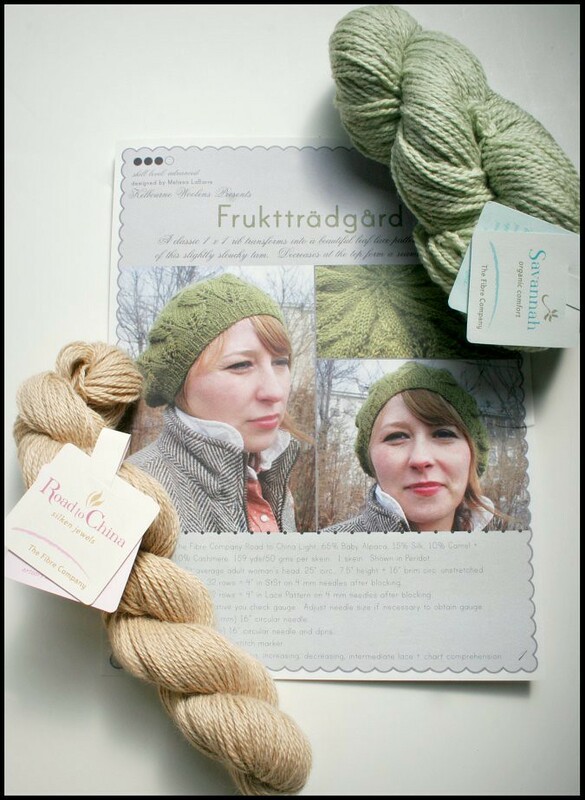 Enter to win these beautiful skeins of The Fibre Company's Road to China Light and Savannah (provided by Kelbourne Woolens and The Backwards Loop) along with the beautiful Frukttradgard hat pattern by leaving a comment under this blog post. but click HERE to see pictures of the one I've completed. Winner will be announced here on August 1, so be sure to check back and see if you've won! As a reminder, please include contact information in your comment so that I may notify you if you are the winner. Also remember only one comment per person please. Thanks!